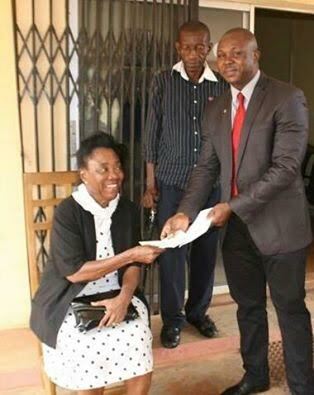 The South East Zonal office of the Economic and Financial Crimes Commission, on Thursday August 18 2016, released N500,000 recovered fund to a fraud victim, Dr. Mrs. Veronica Ibeziako. Ibeziako, a retired Chief Magistrate in Anambra State, was swindled while she sort for financial assistance to enable her proceed for medical treatment abroad. According to the victim, she was billed for a surgical procedure abroad, which was going to cost N3m, but ended up being defrauded of N500,000 when she decided to sort for financial assistance, due to her inability to come up with the entire sum. Though investigations into the matter is still ongoing, the recovered fund has now been released to the victim, to enable her attend to her financial and medical needs.